Enjoy a delicious braai in minutes. 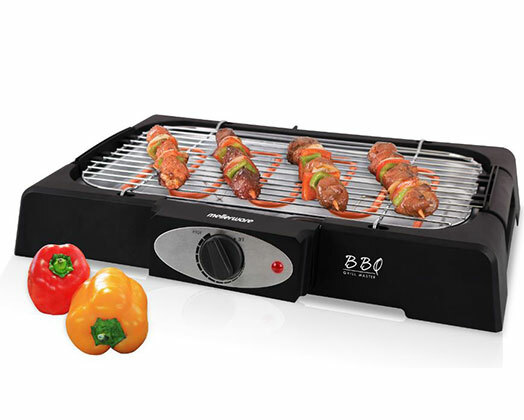 The BBQ Grill Master packs a punch with 2000W of power and has variable temperature controls as well as adjustable cooking heights. A perfect companion for anyone who does not have a built-in braai at home. Removable parts that make cleaning up as quick and enjoyable as the braai. The BBQ Grill Master also comes with a indicator light for ease of use.